From the author of Endless Love, a novel set in a Hudson River estate that traces the lives of two couples through snapshots of parties throughout their marriages. [Spencer's] prose on the subject of romance is fulsome, lush, downright Lawrencian. He has a supple understanding of infidelity and marital dynamics, especially the simmering resentments of a floundering relationship ... Spencer isn’t as convincing at analyzing the locals as he is at parsing the dynamics of the more affluent and urbane, from the cuthroat shoptalk at Hollywood industry parties to egalitarian pickup games at the Manhattan YMCA ... But River Under the Road is wry and insightful enough about the intricacies of maintaining an artist’s life — and the sacrifices required to achieve it — that it will no doubt become required reading for the Hudson Valley set. ...while the characters are vividly drawn, they are for the most part vile. Not to worry: Spencer is a novelist of extravagant gifts, and River Under the Road showcases them amply. Nobody is better at obsessive passion and few novelists bring such mordant wit to bear on slow-motion tragedies such as marriage and career failure ... Yet Spencer’s gifts sometimes take us a little far afield, or cause us to linger there too long as we gaze back longingly at our busy protagonists. Able to animate any character with a few keystrokes, the author can’t resist pulling them out of the air, one after another, and disposing of them just as lightly after portentous encounters that come to nothing. 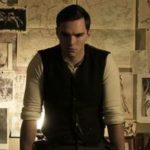 How to write freshly about characters whose lives have lost all freshness? It’s the same challenge [Richard] Yates faced, and Spencer struggles with it. Halfway through the novel, with Thaddeus exhibiting gloomy regret about the choices he’s made and his marriage skidding hard into what feels like middle-aged disaffection, it’s startling to recall that he and Grace are not even 30. Young Fogies, they’re caught up in a tedium so premature as to seem imposed. Covering a period from 1976 to 1990, River Under the Road contains cultural scene-setting, reminiscent of Updike’s Rabbit novels, that captures the social and political mood of 'me-decade' self-indulgence morphing into Reagan-era conservatism. And Spencer doles out apt metaphors for difficult moments ... 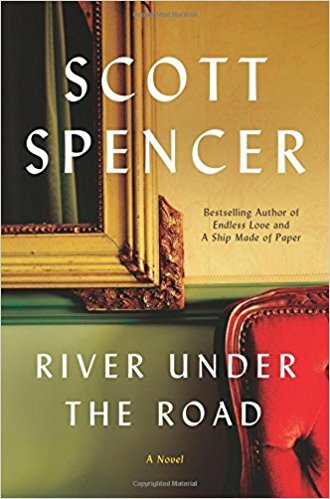 But elsewhere Spencer’s prose drifts from the enthusiastic into the maudlin and stilted ... River Under the Road takes us down an all-too-well-worn path. What did you think of River Under the Road?